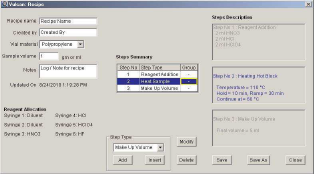 Makeup Volume: Sample levels are monitored for individual vials using non contact level sensor. Peristaltic pump fills in quickly major amount for desired level. Accurate Syringe pump dispensing and level sensor monitoring is used in achieving final level. 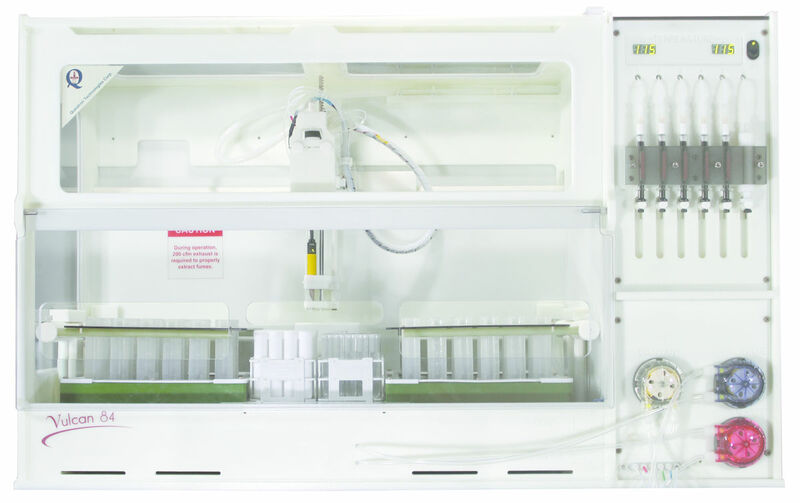 This unique combination of syringe and peristaltic pump helps speed up process with out losing accuracy. Dilutions and Sample Transfer: With the help of Teflon coated Carbon Fibre probe and Sample loop samples are picked up, stored, diluted and transferred to autosampler racks. Sample Probe and Loop is thoroughly cleaned externally and internally between each sample processing. 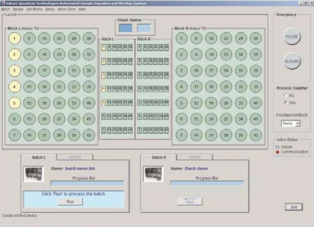 It is possible to generate multiple dilutions for one sample in one go. Cooling: Pneumatically driven acid resistant Tray Lift brings samples out of hot blocks. Tray Lift is placement forces cool air to pass over the vials, bring them rapidly to room temperature for multiple reagent additions and Volume Make-up. Stirring: Vigorous mixing of sample is effected through rapid stream of air bubbles. Duration of mixing for each sample can be set as per need. Wash Station: Two Chambered wash station is used for cleaning the probes between two sample. Wash station has two separate peristaltic pumps circulating clean water for efficient cleaning.